AMSOIL, The #1 Synthetic Lubrication Company in America continues to lead the Industry by enhancing their already #1 lubrication products even more. The NEW Formulated XL oils now provide 64% more wear protection than previous and provide 100% protection against a new phenomenon call LOW SPEED PRE IGNTION. LSPI is the cause of many engine problems which owners have never been concerned about in the past. All this had to do with Combustion and Pre-Ignition which can damage pistons and other engine parts. Fuel/Oil Droplets escaping piston Rings and Combustion Chamber deposits flaking off are two factors in LSPI. There is no single action that can overcome LSPI but combined actions of Hardware designs and oil formulation are important. Again, making HEAT in an engine important concerns for automobile owners. And with automobile manufacturers going to smaller engines, using Turbo’s, keeping heat lower will be very important to engine longevity. Thus Synthetic Oil will be key because the Fire Point and Flash Points of Group V Synthetics are unmatched. 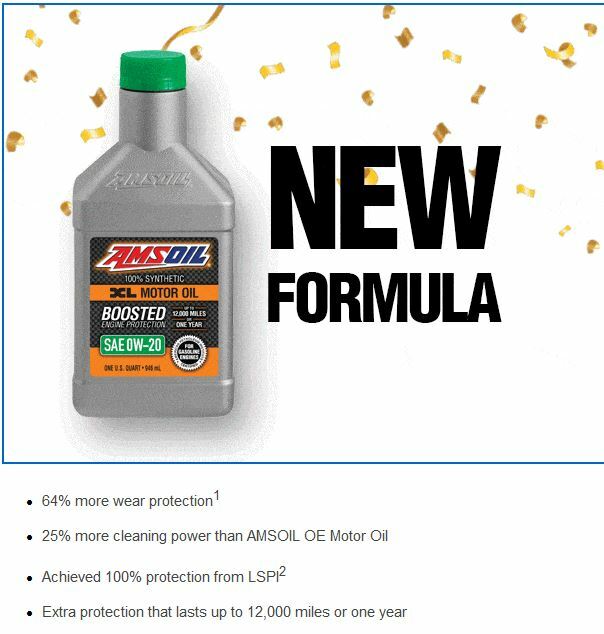 For more information about AMSOIL Technical product information go to http://www.amsoil.com or http://www.The1stSyntheticoil.com. Should you desire to purchase these products you can call 1-800-777-7094 and tell the operator you are working with ZO 9792.